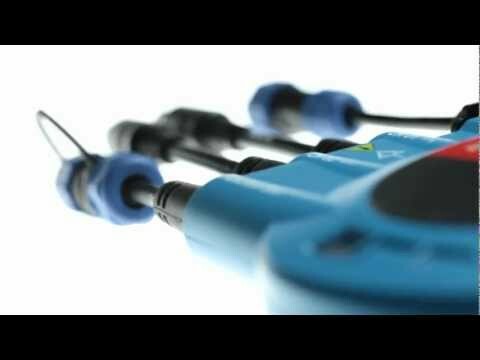 TwinProbe - For analog and digital measurements - TEXA S.p.A.
TwinProbe is the TEXA tool for acquiring the analogue and digital measurements needed for all conventional diagnostic testing. It comes at a lower price than UNIProbe, its “big brother”, however both share in common outstanding practicality and precision for all automotive service operations. TwinProbe communicates with all TEXA viewing units or with a Windows PC with USB connection or through Bluetooth Technology, allowing the mechanic absolute freedom of movement around the vehicle and in the workshop. The tool can be managed by the IDC5 operating software, or MSS (Measurement System Software) when used on a PC. TwinProbe is an oscilloscope with two independent analogue channels for inputs up to ± 200V, complete with SIV (Signal information Viewing ) function for interpreting the measured signal. The SIV function guides you through the entire test procedure. TwinProbe not only displays the signal but, while taking measurements and acquiring data, simultaneously processes and analyses information in order to provide real time evaluations. TwinProbe can process signals from various sensors and actuators and compare the data acquired against values stored in the internal database, immediately highlighting any signal anomalies. The practical TwinProbe signal generator is ideal for simulating input signals from sensors and the signals transmitted by ECUs to control actuators like solenoid valves, in order to detect and analyse faults in the system. TwinProbe can also be used to measure current intensity. An optional BICOR clamp-on ammeter is needed to allow TwinProbe to run these tests. Easy access to the amazing functions of TwinProbe is ensured by MSS (Measurement System Software), developed by TEXA especially for this device, and by the complete IDC5 software Platform. Via USB2, USB1 or Wireless Bluetooth. 40 MS/s with one active channel. 20 MS/s for channel with 2 active channels. Trigger delay, frequency calculation, Vmedia, Vmax, Vmin, Period, Setting scale for amperometric clamps..